Leonardo DiCaprio took home his first Oscar at this year’s Academy Awards ceremony for survival epic The Revenant, after six nominations. The 41-year-old was named best actor at the 88th Academy Awards, with Brie Larson named best actress Oscar for Room. Mark Rylance won the best supporting actor Oscar, and Sam Smith won best original song. 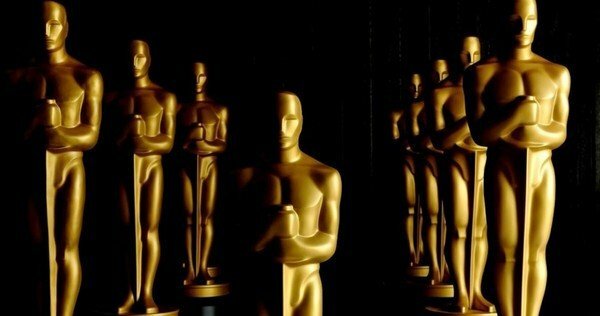 The ceremony had been boycotted by some Hollywood figures protesting about the lack of ethnic diversity among this year’s nominees, as all 20 nominees in the best acting or supporting acting categories are white. Chris Rock commented he had “counted at least 15 black people” in the montage that opened the ceremony, before welcoming people to the “white People’s Choice awards”. Leonardo DiCaprio received a standing ovation as he picked up his award, after five acting nominations and one nomination as producer of best picture nominee Wolf of Wall Street. He thanked his director and co-star Tom Hardy for his “fierce talent on screen” and “friendship off screen” before campaigning for action to combat climate change, saying making The Revenant was “about man’s relationship to the natural world”. He asked the audience to “support leaders around the world who do not speak for the big polluters or the big corporations but who speak for all of humanity, for the indigenous people of the world, for the billions and billions of underprivileged people who’ll be affected by this”. It is 22 years since Leonardo DiCaprio was first nominated for an Academy Award, having been nominated for best supporting actor for What’s Eating Gilbert Grape. Speaking to reporters after his win, Leonardo DiCaprio said: “I feel very honored, to share this has been an amazing experience, to sit there and talk about the film. As he accepted his award, Alejandro Inarritu said it was a “great opportunity to our generation to liberate ourselves from all prejudice”, saying the color of someone’s skin should be “as irrelevant as the length of their hair”. It is the fourth Oscar for Alejandro Inarritu, having won best director, best original screenplay (as co-writer) and best picture (as producer) for Birdman in 2015. Brie Larson had won praise for her role as abducted woman Ma in Room, based on the book by Emma Donoghue. Mark Rylance won his Oscar for Steven Spielberg’s Cold War film Bridge of Spies, in which he plays Rudolf Abel, the real-life Soviet intelligence officer who was arrested in 1950s New York and prosecuted as a spy. Sam Smith, whose song was featured in Bond film SPECTRE, told the audience at LA’s Dolby Theater he could not breathe as he picked up his award and described his fellow nominees as “incredible”. The Swedish-born actress thanked her co-star Eddie Redmayne and her parents, after winning her first Oscar, saying: “Eddie, thank you for being the best acting partner. I could never have done it without you. You raised my game. Composer Ennio Morricone won the Oscar for best original film score for The Hateful Eight – the first Academy Award the 87-year-old has won in his career.